Playing, running about or hiking–with the Girls Arctic Wolf Fleece from Jack Wolfskin jacket, your little girl can keep doing the things she loves, no matter how cold it gets. 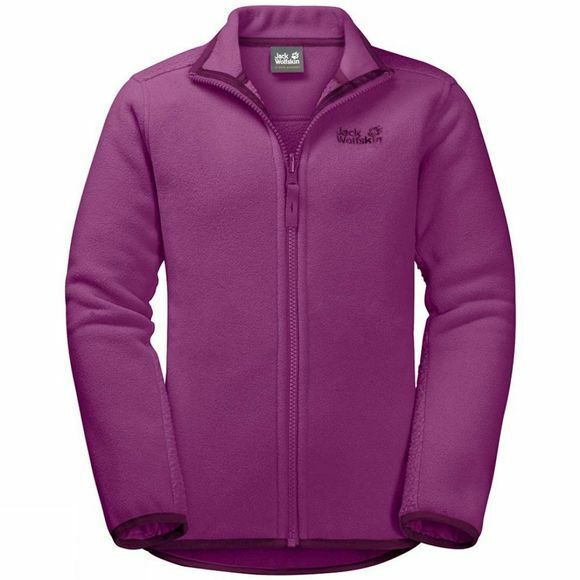 The extra warm fleece fabric has a robust, velour exterior and a soft, brushed reverse side for all-day comfort and warmth. It's equipped with a practical system zip, so all you have to do is zip it in and away you go!